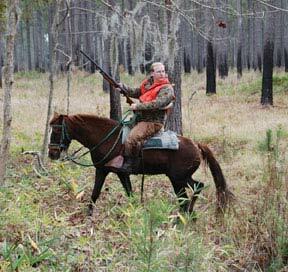 The steadfast Carolina marsh tacky holds a unique place in our state's heritage and in the hearts of the riders who value them as the perfect hunting partners. It's a cold, blustery December morning in the Lowcountry. Two horsemen lean into a biting wind at historic Oaklawn Plantation. With hollowed horns used to signal the other members of the hunting party strapped across their backs, they ride slowly through widely-spaced stands of fire-blackened longleaf pine, the horses beneath them nearly invisible in the thick underbrush and tall grass that has sprung up since the last time these woods were burned. Their quest? Heritage and deer. Trailing a pack of eager dogs, the men periodically drop out of the view of the standers placed strategically along the edges of the block of woods, only to emerge further downrange. Quietly weaving in and out of the thick underbrush, their movements take on an almost dreamlike quality. Then suddenly, a whitetail breaks from cover. Whoops and hollers shatter the morning's calm. A cinematic blur of movement swirls through the trees. The horsemen rally the dogs to drive the deer toward the standers, and soon a salvo of shots reaps a deer. A second drive gains three more deer, but one wounded buck flees, running hard towards a flooded cornfield managed for waterfowl, with the dogs in close pursuit. Two blows on the horn light a fire under the horsemen. Brothers Ed and Rawlins Lowndes and David Grant ride after the hounds in pursuit. 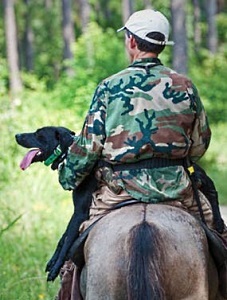 Rawlins Lowndes, commanding the hounds, rides his brother's marsh tacky, "Laboka," descended from a wild herd captured on Hilton Head Island in the 1960s. Grant rides his stallion, "DP," and Ed Lowndes rides one of Grant's other tackies, "Sage." They have the right horses for the task at hand. For a solid week before the hunt, heavy rains have drenched the area. The land surrounding the cornfield this morning is a muddy, obstacle-filled morass. Saplings, low-hanging limbs, tangled vines, armadillo holes, bushhog amputees - small-tree stubble - and thick, tall grass make the going rough for any horse. The marsh tacky, though, is not just any horse. The deer plunges into the flooded field with hounds in hot pursuit, and Rawlins Lowndes, carrying a shotgun borrowed from one of the standers, pounds around the edge of the surrounding dike, zigzagging between small trees and dodging low-hanging limbs. He urges Laboka up the embankment, and up he goes - ten maybe fifteen feet straight up - through thick grass studded with perilous holes. Lowndes and Laboka reach the far bank just ahead of the deer. Is a clean shot possible? On top, the dike is a narrow sliver, and it's a long way down to the bone-chilling water. Lowndes weighs his options as the deer turns back, narrowly flanking the dogs. By this time, David Grant and DP have caught up, and Lowndes hands off the shotgun to Grant, who gallops off, trying once again to cut off the deer's escape route. 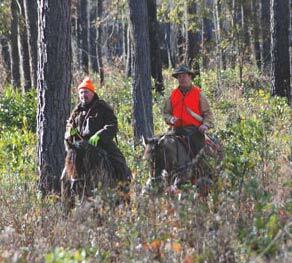 Back home in the Pee Dee, Grant loves "ripping" - using the horses to flush deer and shooting them from the saddle. But not just any horse will do. It takes a very special horse like DP, one not easily spooked and calm enough to let his rider fire with accuracy. As the deer catapults up the dike, Grant closes in and bam! 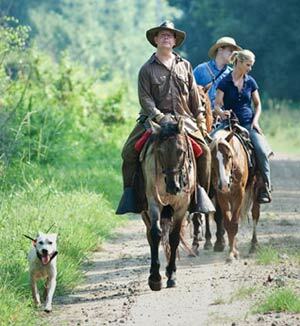 Lowcountry hunting on horseback resonates with tradition, and that agile breed, the Carolina marsh tacky, boasts an enduring legacy as well. "Tacky" comes from an English word meaning "common" or "cheap." Hogwash. A small band of men (and women), including Grant and the Lowndes brothers, knows the horse is worth a king's ransom. They hunt deer and wild hogs as men before them did - from horseback - and they fully intend to keep the tradition of hunting atop the marsh tacky alive. 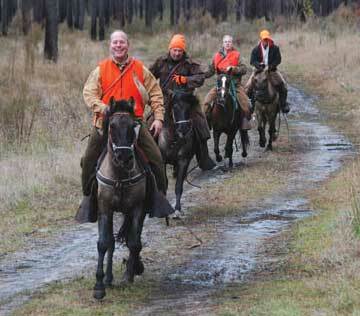 The Lowndes family has hunted on horseback for five generations. 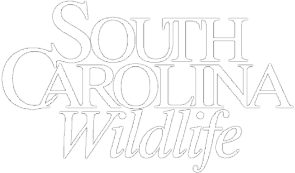 Grant owns and operates Carolina Marsh Tacky Outfitters near Darlington and breeds tackies. He brought three of his horses to the December hunt at Oaklawn, meaning something like 147 marsh tackies were elsewhere that day. The American Livestock Breeds Conservancy estimates that fewer than 150 pure marsh tackies exist, though breeders and advocates like Grant are trying to change that. Somewhere over the airwaves, an anthem plays for the marsh tacky: Procol Harum's "Conquistador." The song fits. As early as the 1500s, Spanish ships anchored along South Carolina's coast. Their cargo included measles, small pox and chicken pox, but it also included fine-boned horses, a measure of absolution. The Spaniard's colonies failed, and the would-be colonists left their horses to fend for themselves near Myrtle Beach and Port Royal. "Conquistador, your stallion stands in need of company," goes the song. Company it found. 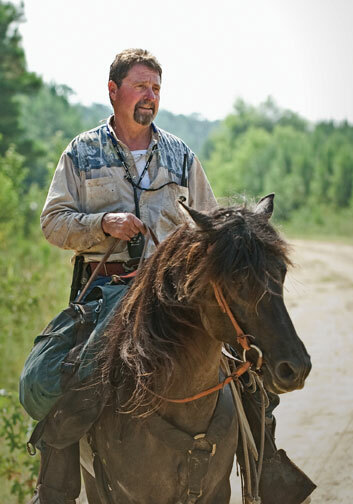 In the 1600s, English explorers in South Carolina beheld Cherokee and Chickasaw Indians riding small, rugged horses. Feral marsh tackies sought refuge in Lowcountry marshes, where they were captured and domesticated, first by native people, then by European settlers and African slaves. The Gullah tilled their fields and gardens using tacky power. During World War II, beach patrols seeking Nazi U-boats rode marsh tackies. Had spies slipped ashore, men on marsh tackies would have been the first line of defense. No surprise there. The horse had already ridden into the history books courtesy of an earlier war. It's believed that the legendary Swamp Fox, Francis Marion, led his irregulars into guerrilla forays on the sturdy-yet-nimble horses. Marsh tackies would have easily outflanked the British army's larger European breeds in the woods and swamps of the South Carolina backcountry. Today the horses are also used to pursue a quarry that's a bit of a guerrilla fighter itself - wild hogs. It's a Saturday in the middle of August, and today's band of equestrians and hunters includes the Lowndes brothers, Grant, Richard Perdue, Bryan Stanton, Moultrie Helms and guide Troy Byrd. Other participants in the hunt include tacky devotee Wylie Bell, a writer/designer for the Florence Morning News, and equine photographer Dwain Snyder. A day that began in heavy fog has turned hot enough to melt pig iron in Roblyn's Neck, a 14,000-acre tract along the Great Pee Dee River. By now, wild hogs with any sense have retired to the most unpleasant pieces of real estate possible, deep in the shade of thick scrub and briar thickets. The sun rains down, and thundering down a lane scraped from the ancient sea bottom, the horses kick up contrails that hang in the air. Time suspends as well - it looks like a scene from the wild, wild West. "No hog rippin' today," says Grant. "Ripping" was coined from the sound an old buck makes when you jump him out of the bed. Ripping deer is a Lowcountry art. 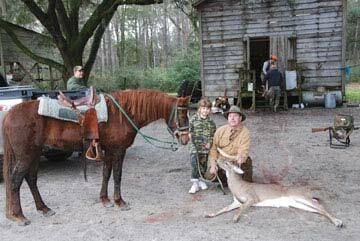 "In the Lowcountry you can still find tracts that haven't been turned into one big cut-down and you can get close to the deer," says Grant, "In my area I still ride cut-downs. 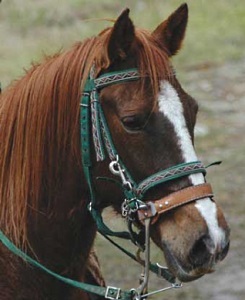 I have chaps I made for my horses to keep the briars from cutting too bad." According to Grant, marsh tackies are the best horses he's found for ripping. "They take the gunfire, briars and blood better than most," he says. "I will ride a cut-down with the wind coming to me and pick my way from spot to spot where I think a deer will be bedded. When he rips up, you better be quick, and you better have a good horse." But today is about hogs, and as the day heat ups, so does the action. The land echoes with the yelps, yowls and yaps of Pee Dee curs, a dog Grant describes as "the noble Pee Dee game dog." "When you hunt hogs," says Grant, "you need a dog that can work an area and find a hog bedded down in a blow-down or more often in the middle of a hellhole cut-down. It's tough!" The music dog hunters love sounds out - a howling bay that signals the dogs have cornered their quarry. That epic do-or-die last stand unfolds. Somewhere afar, a banshee-like squeal makes the hair stand on the back of your neck. Riding point, Grant and company gallop off, puffs of smoke bursting from unshod hooves. "Most of the time," says Grant, "I ride point. I get the honor of being the first to bust up briars, jump a ditch, cross or swim a slough or dodge snakes." A good point horse, he adds, "will go to the bay on its own when it hears the dogs." Closer to the dogs, bedlam - pig squeals and chaotic dog vocals. Grant plunges through head-high brambles, briars and undergrowth on DP, clawing his way to the action. There's Bill, diminutive leader of the curs, nipping at a two-hundred-pound sow. Grant's adamant about protecting his dogs. He hunts with a GPS tracking system that gets him to the bay quicker than in the old days. "I often ride right into a fight if my dogs are getting cut-up from a bad hog," he says. "If they have the grit to hunt all day, fight everything a Pee Dee river bottom can throw at them, run a hog through Hell and back, and fight to the death if need be, I will do whatever it takes to get to them." And for that task, there is no equal to the marsh tacky. Wylie Bell first learned about marsh tackies when she interviewed Grant about the Hilton Head Marsh Tacky Beach Run. She ended up riding one of Grant's tackies at Hilton Head. 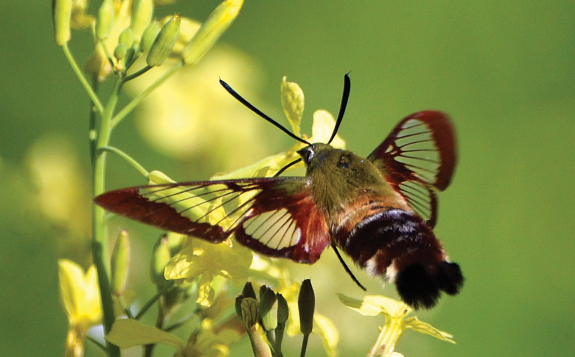 "The first thing I noticed," says Bell, "was how easily tackies adapt to new situations. Here were these five-year-old horses thrown into a thousand people, racing next to a rolling ocean. And they handled it amazingly well. People were crowding around them all day, and no one got kicked or bitten or run over by a spooked horse." Later, Bell discovered the marsh tacky's hardy character. "My first hog hunt opened my eyes to how tough a breed the marsh tacky is. I'm always careful to watch for fallen limbs, holes, uneven terrain, muddy spots - anything that could cause a horse to trip. On a hog hunt, you run full speed through mud and muck and cut-downs with stumps, holes, logs and briars. The horses never miss a beat. They don't panic when they get wrapped up in briars or when they're mired in a bog up to their chest. Like little bulldozers, they push through whatever you ask them too." Grant sometimes tells his hunting partners, "Let's hunt back to the truck." It's an inside joke. Too many times they've hunted all day with no luck. But sometimes when he says, "Let's hunt back to the truck," that's when they catch hogs. But no such luck today. It's hot and the curs pant heavily, winded. The hunt ends. It's time to load up the tackies, those noble survivors. Pursuing deer in December, wild hogs in August, tilling gardens come spring, racing at Hilton Head, defeating the British, patrolling for German submarines and proving to be an anchor for tradition, the marsh tacky does it all. What else can be said about this horse for all seasons, as a horse pure and simple? Bell hits the nail on the head. 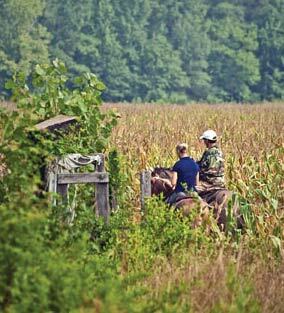 "The marsh tacky is simply better put together to handle riding in the woods and swamps. They're smaller and more agile, their hide is thicker, and they have good, solid hooves. Marsh tackies are not big horses, but they ride big. They have huge hearts and sharp minds, and for people who own them, they'll be that horse of a lifetime." I ride into the woods along deer trails looking for a deer's hiding places. My tacky, Laboka, will usually see deer lying in hiding. When Laboka sees one, he stops and stares into its eyes. I focus my eyes into the thicket, fallen tree, or cane patch and spot the deer. If the deer is suitable to pursue, I "jump" it, and the chase unfolds. 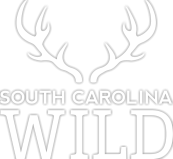 The deer will run its course through old-growth hardwoods into Carolina bays. The deer knows it can escape into the water and thick marsh grass where hounds can't follow. The deer's speed and wits usually let it escape through the standers. I ride Laboka to the perimeter to stop the hounds' pursuit. 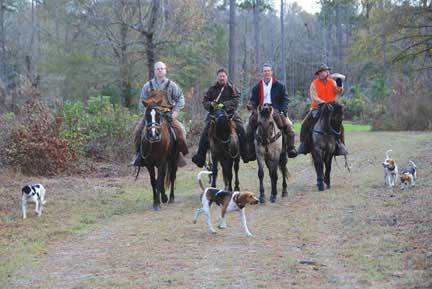 While on my horse, I loudly crack my whip to simulate a gunshot, and the hounds believe the deer has been harvested. I blow my cow horn to regroup the hounds behind Laboka, who leads them into the woods to look for another deer. This old style of hunting brings "fair chase" into our vocabulary. My horse's name, Laboka, means "the mouth" in Spanish. He's very inquisitive and nuzzles objects he finds interesting. 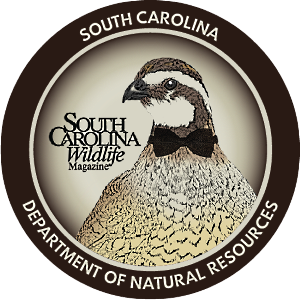 One-time SCW Managing Editor Tom Poland has published five books (including Reflections of South Carolina, now in its third printing) and more than 500 magazine feature articles. He writes about the South, its history, culture and people - from NASCAR to James Dickey - and is the only writer to have his name and logo on a racecar. SCW magazine would like thank everyone who gave generously of their time and talents to help with this article: Dwain and Daniela Snyder (www.equestrianimages.us), David Grant, owner of Carolina Marsh Tacky Outdoors (http://www.carolinamarshtacky.com/), Edward and Rawlins Lowndes, Wylie Bell, Bryan Stanton, and all the other hunters, marsh tacky enthusiasts and property owners who allowed our writers and photographers to come along for the ride.